17-hour slow cooked North African lamb shoulder, with white carrot puree, spinach ball, roast kipfler potatoes and baby beets. 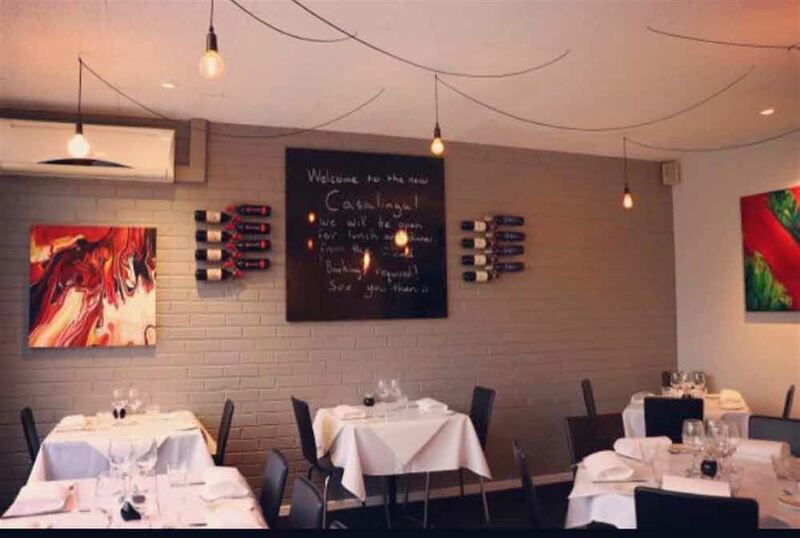 Experience contemporary European cuisine in Croydon at Casalinga, a smart casual venue bringing city food to the country. Since taking helm of the kitchen in 2010, Casalinga Chef Andrew Abrams has delved into all corners of the globe, using international inspiration to craft a menu full of fresh flavours. The result shines in share plates like flash fried calamari, deconstructed chorizo, feta and potato empanada, watercress, parsley salad and charred lemon aioli; or opt for mains like Balinese style twice cooked pork belly, sweet potato and ginger rosti, steamed broccolini, chilli jam and pork jus. Desserts at Casalinga cannot be missed, with choices like salted caramel and chocolate ganache tart, buttered popcorn, ice cream and soft peanut brittle; or banana fronuts and chocolate sauce. Enjoyed a superb meal at Casalinga. Each dish had varying tastes, textures and colours that appealed to our palette in every way. An enjoyable evening was had by all. Would certainly go back to try other enticing items on the menu. My husband and I went for lunch today and we were very impressed. I am a Coeliac and don't usually have much of a selection but the gluten free options were fantastic. Thoroughly enjoyed our meals and will definitely return. The service was exceptional too we would highly recommend. We had a meal there yesterday and the experience was as fabulous as ever. The food is the equal of high class restaurants in Melbourne and is much better value. For us the oysters are always a must - so creative and delicious. The entire menu is interesting, seasonal and enticing. The staff are professional and very obliging and the environment excellent. We have never had a bad experience there and would highly recommend it. Had dinner there on Saturday night (Rib Eye steak black garlic butter and red wine jus with Waldorf Salad and Fat Chips). Just as spectacular as ever. Sensational food as reasonable pricing. My wife had the dessert special of Sticky Date Bread and Butter pudding which she thinks is the best she has ever had. The food is better than virtually every city restaurants I have eaten at. Happy New Year! We are back from our short break. We look forward to cooking for you really soon! We are open 7 nights and 5 lunches. Make some time to experience our wonderful food and warm and inviting service.